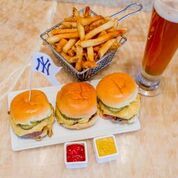 What’s New At Yankee Stadium This Season? Unlike its counterpart in Queens, the new Yankee Stadium has remained pretty much the same as it did when its doors first opened in 2009. There were no major changes to the field and the seating was pretty much even. But the Yankees realized changes had to be made to their new edifice, so they did some investing this past off-season and created several new social gathering areas in the ballpark. Most noticeably the two bleacher sections by the batter’s eye have been removed and replaced by the Toyota Terrace in right and Frank’s Red Hot Terrace in left. Between the two, a new Master Card Batter’s Eye Deck stares directly into home plate. In the upper deck, the Yankees created the Budweiser Party Decks in left and right field, while also adding the Sunrun Kids Clubhouse, located out in right down the line. 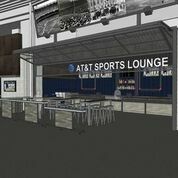 The AT&T Sports Lounge is located at section 134 down the left-field line on the Field Level. It includes a full bar with craft beers and cocktails. Tables, stools and large-screen televisions tuned to the Yankees broadcast and other live sporting events provide a sports-bar atmosphere on the Stadium’s main outdoor concourse in left field. Additionally, power/USB outlets are available for charging phones or tablets. And to fill these new sections, which reduced the stadium capacity by a few thousand, the Yankees are introducing two classes of standing room only tickets for select games: the Pinstripe Pass ticket (starting at $15 for select games) and a Grandstand Level ticket (starting at $10). The Pinstripe Pass ticket is a general admission standing room only ticket which also includes one drink (choices include a 12 oz. domestic beer for those age 21 and over with valid ID, a Pepsi product or a bottle of Poland Spring water. 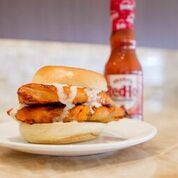 The Yankees are also introducing some new additions from the concession stands. The biggest name is The Mighty Quinn, which offers slow roast barbecue. The Brontosaurus Rib will cost you $38 dollars, but it’s worth it if you are going to share it with your group. There’s also a brisket sandwich, a brunt end sandwich, spicy chicken and pulled pork. Another notable in the Batter’s Eye is The Mutz, which is a fresh, hand-pulled mozzarella sandwiches with mixed vegetables. Jersey Mike’s is now located throughout the stadium, as well as Ben and Jerry’s. Finally, Lobel’s at Section 134 features USDA Prime Steak-Topped Fries are being reintroduced this year, featuring strips of USDA prime strip steak served over deep-fried russet potato wedges and smothered in homemade gravy. All Lobel’s sandwiches are served on lightly toasted buns with premium-quality toppings. With choices like there, it’s going to be fun at the ballpark no matter how the team is playing.